With a population of more than four million, Amman is by far the busiest place you’ll visit in Jordan. There are some stunning historical sites and interesting neighbourhoods, but the real wonders of this Middle Eastern country are found elsewhere. Spend a day or two in the hustle and bustle of this capital city, and then head south. My trip to Amman was the start of a road trip around the country. Head to this post to see our route, and to find out more about Jordan itself. Two things struck me whilst being driven around Amman (and given the recklessness of the other drivers I’m lucky one of them wasn’t a car): the juxtaposition of the old and new, and the welcoming nature of everyone we met. People here are (rightly) proud of both the city’s interesting past and promising future, with roman ruins visible alongside modern skyscrapers. You don’t need long here though. It’s not that Amman isn’t interesting or worth exploring, it’s just that Jordan has some even more spectacular sites elsewhere. Humans have occupied this site in some form for nearly 4,000 years, with most of the remaining buildings hailing from the Roman, Byzantine, and Umayyad periods. The views are fantastic, and try and be at the Temple of Hercules during one of the five daily calls to prayer – hearing the sounds travel across the city from every direction is pretty special. Entry is 3JD, or free with the Jordan Pass. Tour guides will offer their services at the gate, but we were fine just wandering around and reading the signs. Allow at least an hour, longer if you want to properly explore the museum. There’s also toilets and a cafe on site. This impressive ampitheatre we built in the second century when Amman was known as Philadelphia. It seats 6,000 people and is still used for concerts and entertainment today. It’s a steep climb to the top but the views are very impressive. Entry is 2JD, or free with the Jordan Pass. Opened in 1989, this mosque has nothing on historic buildings like the Hagia Sophia in Istanbul or the Al Haram mosque in Mecca, but it makes for an interesting visit nonetheless. Our driver Mohammed came with us and we definitely got a lot more out of it than if we had gone in alone, so if you don’t have anyone to take you do some research first or take a guide book along. You’re there as a tourist but it is a very holy place for Muslims, so take your shoes off, wear the appropriate clothing, and try not to accidentally let the Beatles’ ‘Baby’s in Black’ blast out from your phone for an uncomfortably long time as you try to find your reading glasses so you can see the button to turn it off. (We’re all looking at you, Mum). Men must wear trousers and women must cover their arms, legs, and hair. Go to the visitors’ entrance and you’ll be able to borrow appropriate clothing for free, and welcomed back there after your visit with a cup of tea and a tour of the shop. Make sure you look up in every room; the lights are stunning. Entrance is 2JD and, like all the holy sites, is not included in the Jordan Pass. We actually only ate out in Amman once, but it was delicious. The Abu Jbara on Al Buhtori Street (a 5 minute drive from King Abdullah Mosque) didn’t look too promising from the outside but our driver assured us it was fantastic, and he was right. Homemade hummus, fresh flatbread, tabbouleh, and something very tasty called fatteh which I hadn’t tried before. (Pop next door to buy a bag of falafel to make the meal complete). We had more than enough food for six people, four teas, and two soft drinks. The total price? Less than 10JD. My mouth is watering just thinking about it! The five of us rented a three bedroomed two bathroomed apartment in the centre of the city, and our hosts could not have been more accommodating. Jehad was really responsive to my messages ahead of our visit and throughout our stay. We had two separate arrival times (one after midnight) but this was no issue, and someone waited up to help us check in during the early hours. They were even really patient when our driver got lost and we arrived later than intended. As we were coming in late we asked in advance where we could go for breakfast, and as well as recommendations they offered to go shopping for us – we arrived to eggs, bread, yoghurt, cheese, fruit juice and more. It made our mornings much easier and we even had enough food to make dinner too. We had a bit of difficulty with the hot water but I think that was our fault – ask for a demo when you check in. The only negative is that three different drivers all found it difficult to locate the building, and the sign is not really visible from the street. Make sure you have the phone number to hand so that the drivers can call for directions if needed. The apartment itself was large, clean and well kept, with wifi and air conditioning throughout. The kitchen facilities are brilliant, and we easily cooked meals there. The little outdoor terrace was a lovely addition. We paid 205JD for five people for two nights, and 55JD for the food they bought in. Like lots of places in Jordan, payment with cash is preferred. Find out more about Janty Apartments and book your stay here. Use the code 05007AEC to get $25AUD off. After exploring Amman it was time to head to the spectacular King’s Highway. 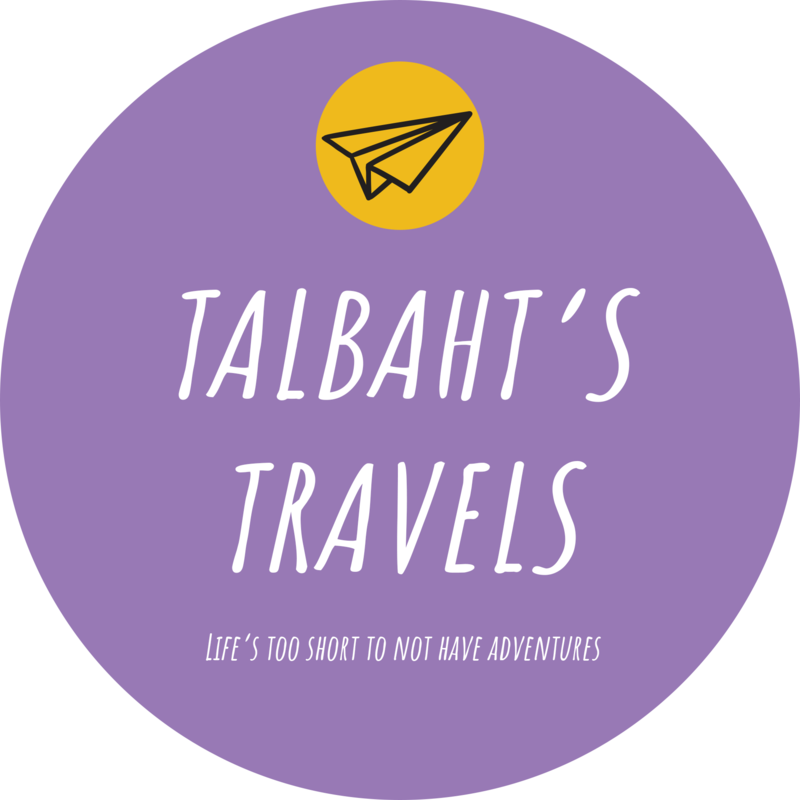 If you have any questions, want help planning a trip to Jordan, or have an idea for a guest blog please email contact@talbahtstravels.com. Remember to like the Facebook page and follow my Instagram to keep up to date with the latest blogs, photos, and travel tips.